Workflows can be triggered by GitHub platform events (i.e. push, issue, release) and can run a sequence of serial or parallel actions in response. Combine and configure actions for the services you know and love built and maintained by the community. Want to venture off of the beaten path? Actions can be written in any language using the millions of Open Source libraries available on GitHub and can interact with the full GitHub API and any other public API. 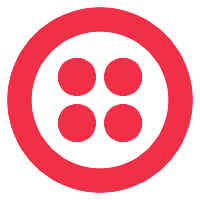 twilio --number 5554351234 "Hello, world!" Actions are executed on demand as autoscaled containers with generous resource limits. Whether you want to build your container apps, publish packages to registries, or automate welcoming new users to your open source projects - the possibilities are endless. runs = "aws deploy --prod"
Automating your software development practices with workflow files embraces the Git flow by codifying it in your repository. Manage and test changes using your software development processes, like pull requests, branch deployments, and code reviews. The future of workflow automation is now. If you’d like to be one of the first to use GitHub Actions register for the beta waitlist. Want to get a head start? Check out the documentation.